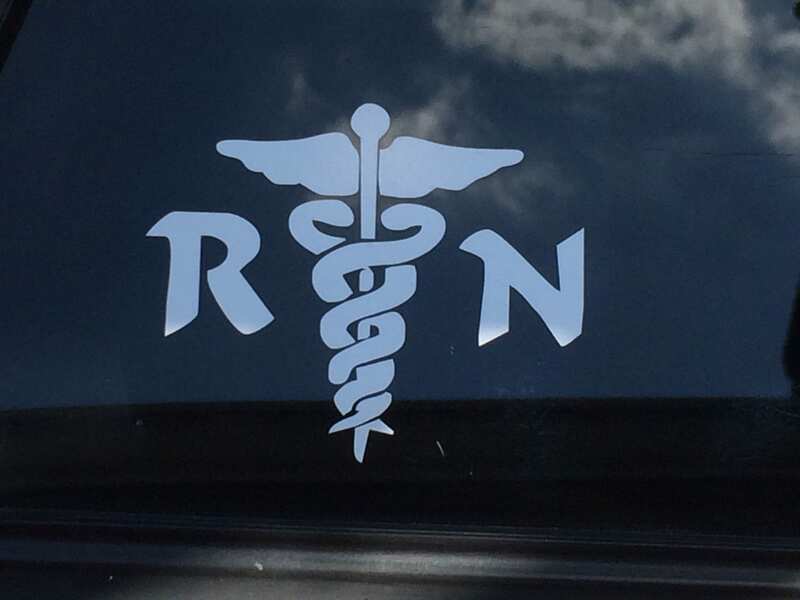 Nurse/RN vinyl decal. 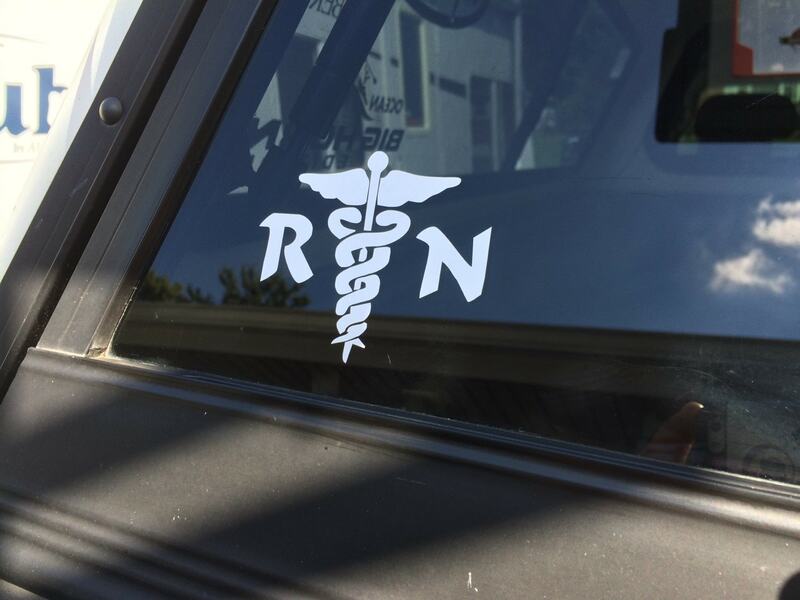 Show your pride in this demanding profession! Approximately 3.5x3.5 inches. 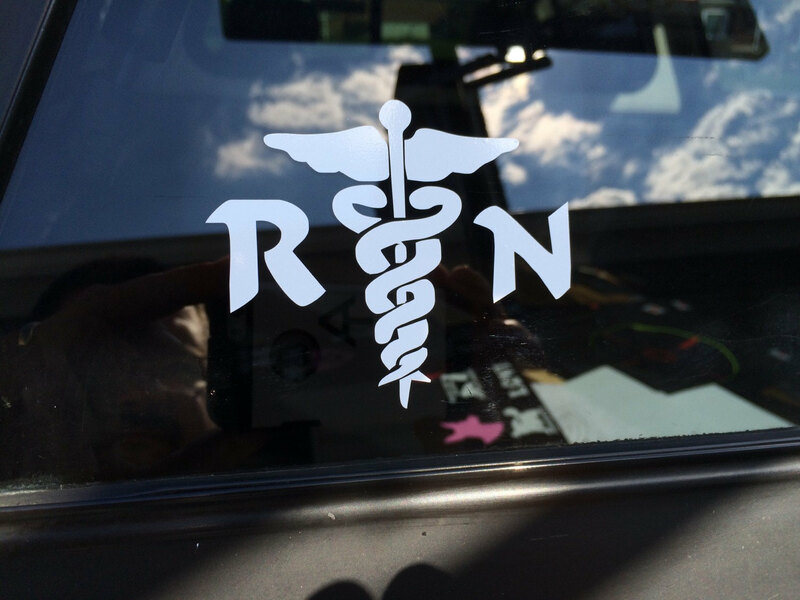 These long-lasting, outdoor vinyl decals are weather and water resistant. We use premium outdoor, 7yr vinyl. Easy to apply. Instructions will be included.